Deal Categories: Testosterone Boosters Supplements.Stores: MAN Sports. MAN Sports is running a limited time clearance sale on a selection of products which in combination with a 20% OFF Coupon creates some serious savings opportunities! 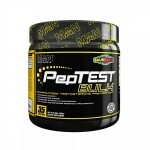 One of the deals is on the PepTest BULK – 35 Servings – Sour Batch, where the price drop from $49.99 and then to $19.99 to $16 after coupon. proceed to checkout and apply the coupon ‘FDN20‘ (sitewide). Deal Categories: Testosterone Boosters Supplements.Stores: Supplement Hunt. 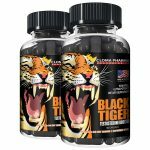 Supplement Hunt is offering 2 x 100 Capsules Cloma Pharma Black Tiger Test Booster, for $39.99. Use coupon tiger200 during checkout. Buy one Super Panther XT (6 caps) & get one free for $29.99 .